Motor mouthed politician and singer Bobi Wine has endorsed Ms. Flavia Nabagabe as his choice to support as the country gears up the parliamentary elections of the highly contested slots for the newly created districts. 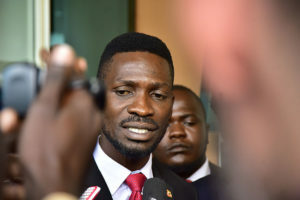 Having endorsed Mr. Asuman Basalirwa for the Bugiri municipality parliamentary seat, Bobi Wine is working tooth and nail to defeat NRM and FDC candidates to send the law maker to the August house, the Kyadondo East legislator promised to reveal his next destination being the ‘baby’ Kassanda district thus promising to announce his favorite candidate to give backing for parliament in time to come. As the public was still in total confusion about which lucky candidate in Kassanda to enjoy Bobi Wine’s support to parliament, our credible sources can now affirm that the ‘Kyarenga’ singer will back the famous woman activist and Democratic Party die hard for the Kassanda district parliamentary seat. 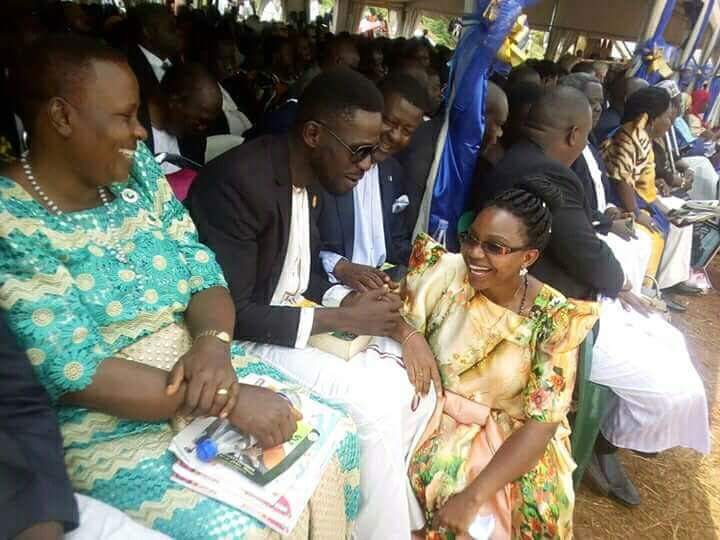 The rumor was evidently summed up during the recently concluded Kabaka’s coronation anniversary at his palace in Mengo as Flavia Nabagabe was at zero distance with MP Bobi Wine and behaving so low as she engineers her next cause in her political career.